Spick & Span window cleaning are delighted to offer domestic window cleaner services in London Chelsea SW3. Among the many notables that have lived in Chelsea are the historian Thomas Carlyle; novelist, playright, and poet Oscar Wilde, essayist Leigh Hunt; and many artists, who were drawn to Chelsea because of its stunning river views. These have included Turner, Whistler and Rossetti. Cheyne walk was favoured highly by artists and has some of Chelsea’s finest homes. Chelsea is characterized by Georgian and Victorian town houses as well as Edwardian mansion blocks. The windows of some of these properties are notoriously high up and difficult for the average window cleaner in Chelsea to reach, however Spick & Span window cleaners are experts in cleaning the windows of high buildings and can clean windows in Chelsea using window cleaning equipment that enables them to reach up to 57ft. without the use of ladders. This method of cleaning is safer than traditional window cleaning techniques and leaves the windows spotlessly clean. 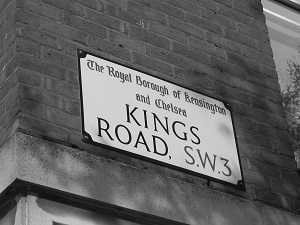 The Kings road in Chelsea is a main artery which brings a heavy flow of traffic into Chelsea each day. The fumes and pollution that these vehicles put out each day tarnish the beautiful appearance of properties in the area causing the windows to become dirty and needing the services of a good Chelsea window cleaner. Spick & Span window cleaning are delighted to offer window cleaner services in Chelsea. Book efficient and reliable residential Chelsea window cleaners who have years of window cleaning experience. Call us now to discuss your Chelsea window cleaning requirements on: 07456 495516. As window cleaners who are based near to Chelsea, Spick & Span window cleaners offer residential and commercial window cleaning services in Chelsea that are of a very high standard. Arrange a Chelsea window cleaner booking. Spick & Span window cleaners are reputable, professional window cleaners in Chelsea, and not ‘a man with a ladder’ type Chelsea window cleaning company. Spick & Span window cleaners are well equipped reliable professionals that provide tailor made window cleaning services of the highest level within Chelsea. Spick & Span window cleaners can provide references and proof of their Liability insurance cover. Spick & Span window cleaners have also been CRB checked, So you can book a window cleaner in Chelsea London with complete confidence. Why choose Spick & Span’s London Chelsea window cleaner service? Spick & Span window cleaners have years of experience as window cleaners. Spick & Span window cleaners take care in and around the properties they clean. Spick & Span window cleaners are honest and trustworthy. Spick & Span window cleaners have CRB clearance. We are professional. Trade association membership. We can clean windows up to 57ft. high from outside. We offer money back guarantees. Sadly the reputation of the window cleaning industry in London Chelsea has been damaged by untrained and unscrupulous individuals who start up window cleaning in London Chelsea just to make a quick sum of money. Often times these DIY type window cleaners in Chelsea wreak havoc on the homes and windows that they clean. These unprofessional window cleaners who work in London Chelsea use dirty cloths, dirty water and often make an absolute mess within the home. Never enter into a contract with a window cleaner in Chelsea until first you have checked references or testimonials. Spick & Span are happy to offer window cleaning services in Chelsea SW3 and the surrounding area. Spick & Span window cleaners carry out one-off job window cleaning in Chelsea and regular window cleaning. Spick & Span window cleaners provide a same-day and immediate response window cleaning service in Chelsea, when possible. Spick & Span window cleaners carry out commercial window cleaning and residential window cleaning in Chelsea. Spick & Span window cleaners would be delighted to provide you with a quote or to discuss the window cleaning requirements that you have for your property in Chelsea.Arrange a Chelsea window cleaner booking. Spick & Span window cleaning offer window cleaning in Chelsea and the surrounding areas:Window cleaning in SW1,Belgravia, Hyde Park, Piccadilly Circus, Pimlico, Sloane Window cleaning in SW3,Brompton,Chelsea,Belgravia, Pimlico Window cleaning in SW15, Putney, East Putney, Window cleaning in SW6,Fulham, Fulham Broadway, Parsons Green, Walham Green, Southfields, Window cleaning in SW7, Knightsbridge, Kensington, Gloucester Road, South Kensington.